The initial fit showed acceptable vault but ILZ bearing at follow up. The vault was increased and the ILZ became acceptable. 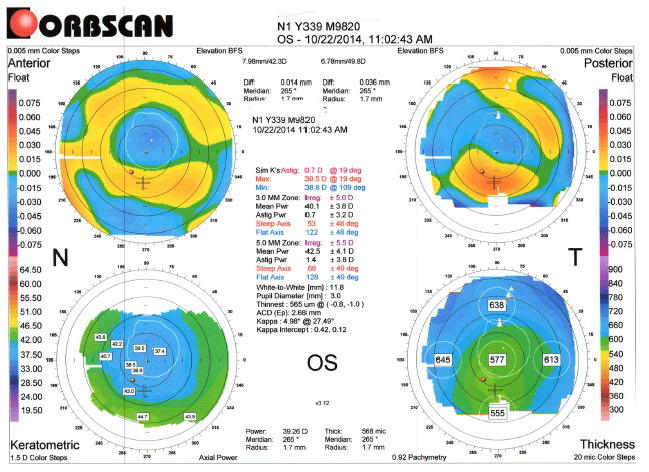 It was also determined that the patient was pushing the lenses too hard on the eye at insertion and he was retrained. The patient is extremely happy. He feels his vision is restored and he can function in his work environment as he couldn’t before. He wears the UltraHealth FC lenses 10 hours a day, and feels the lenses are the only modality to give him satisfaction. The UltraHealth FC was a great option for this patient. 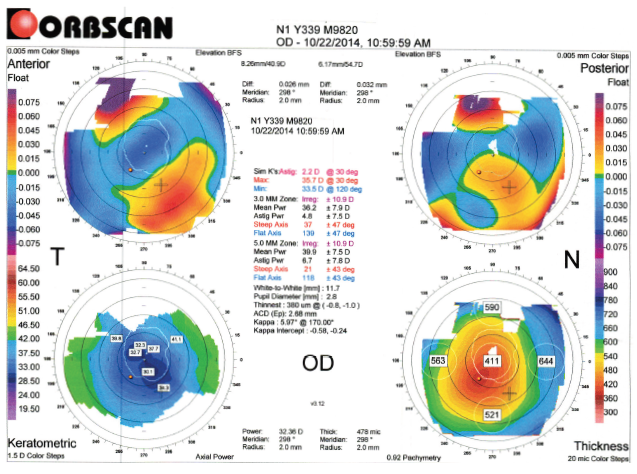 The fit was straightforward with minimal chair time for a cornea that had significant irregularities. This is the only option the patient was able to wear to decrease his monocular diplopia and allow him to continue seeing patients. I found that the biggest struggle for the patient was application and removal.